No one can say the first half of 2018 was not an impactful time for metals markets, including safe-haven assets like gold. The World Gold Council’s first-half outlook report details the market forces at work behind the gold price’s recent drop, but also argues an array of factors could see the price rise in the second half of the year. According to the report, after a 4% rise in Q1, gold came back down by the same amount in June, and argues the price is being driven by a triumvirate of factors: the strengthening U.S. dollar, higher investor threshold for headline risk and soft physical gold demand. Regarding the first, like other metals, gold exhibits an inverse relationship with the U.S. dollar. The dollar has leveled off somewhat in recent weeks, but in the year to date has posted strong gains. In the year to date (i.e., through July 31), the U.S. Dollar Index has jumped 2.61%, as of Wednesday afternoon. The dollar dropped in January but steadily increased since then, with the spot index hitting a high of 95.39 as of June 28. However, the World Gold Council argues the trend of strength might not continue, despite the most recent quarter showing the largest appreciation in the value of the dollar since Q4 2016. In addition, the rise in trade protectionism around the world “has significantly increased the risk that inflation will accelerate further,” the report argues, also noting the price of gold historically rallies when inflation moves above 3%. For now, however, inflation levels in the U.S. has leveled off in June, according to PCE Index data released Tuesday. Whether factors like trade conflicts will lead to a surge in inflation remains to be seen in the coming months. In another optimistic outlook, the report notes that the summer months typically see lower gold demand, while September typically sees demand rise. “Finally, while the summer period tends to be a quiet period for gold buying and trading – as seen by softer seasonal demand, lower trading volumes and sideways price movement – the gold price has tended to increase in September as consumers prepare for a traditional buying period and investors rebalance their portfolios before the end of the year,” the report states. 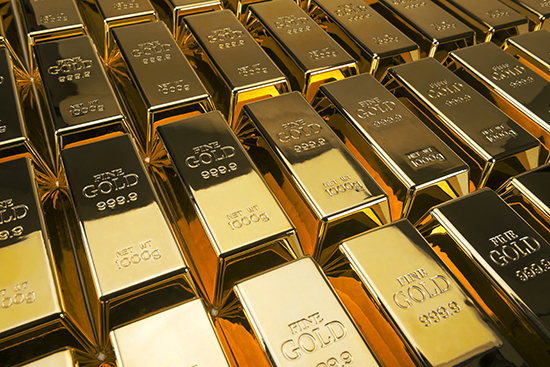 Gold has lost a bit of its sheen in recent months, but that could change throughout the remainder of the calendar year if the report’s assumptions hold true. Like many current events in the metals markets, we’ll just have to wait and see what happens vis-a-vis a number of political and economic buckets, from trade barriers to the strength of the dollar to rates of inflation. The full report is available on the World Gold Council website here.